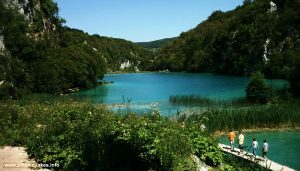 Welcome to Plitvice Lakes National Park! Plitvice Lakes National Park is Croatia’s best-known national park, listed on the UNESCO List of World Heritage sites. It is a popular visiting destination all year round, and must-see for every visitor to Croatia. Well known for its system of cascading lakes - whereby sixteen lovely lakes are interconnected by cascades and waterfalls. The park is simply beautiful. 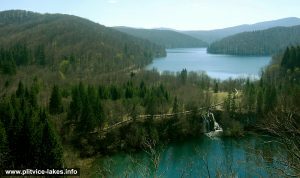 The main focus of park's beauty are sixteen lakes, divided into two parts - Gornja jezera (Upper lakes) and Donja Jezera (Lower Lakes), as well as numerous waterfalls and cascades. Located in Lika, covering the region that is bordered by mountains Mala Kapela, Medveđak and Gornja Plješevica, National Park extends over an area of just under 30 thousand hectares (about 300 square kilometres), including forests (14 thousand hectares), water, meadows, pastures as well as scattered hamlets in between (Rastovača, Poljanak, Jezerce,Plitvica). 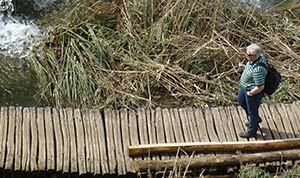 It is a habitat of eleven forest communities including beech, fir, spruce and pine species. The Park is also populated by variety of animals including bears, wolves, otters, wild boars, skunks, squirrels, rabbits, foxes and numerous bird species. 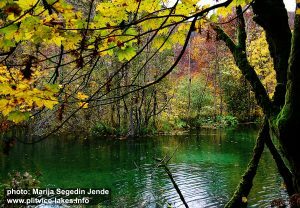 The region is established as National Park in April 1949, declaring Plitvice Lakes as the area of a exceptional natural beauty. That was first National Park in Croatia. Later on, in 1979, Plitvice was put by UNESCO on the of World's cultural and natural inheritance. 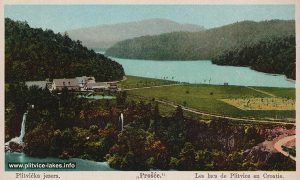 Prošćansko Lake - the first and highest lake, located on an altitude of 638 meters above the sea level. It is also the second largest lake in the whole lake system. Ciginovac Lake - also known as Ciganovac and Cigino jezero is the second highest lake in the whole lake system, located on an altitude of 626 meters above the sea level. Okrugljak Lake - also known as Okrugljaj and Kruginovac is the third highest lake in the whole lake system, located on an altitude of 613 meters above the sea level. Batinovac Lake - Batinovac jezero also known as Bakinovac is the fourth highest lake in the whole lake system, located on an altitude of 610 meters above the sea level. 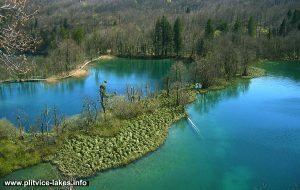 One among the smallest lakes, covering the total area of just over 1 hectares with a max depth of 5 meters in the very centre of the lake. Cross Section Diagram of Plitvice Lakes, Croatia - showing the source where Matica river fills with water Proscansko Lake all the way down, across the 16 lakes to Korana river. Click on above diagram to see the large version of the image.